The features of corrugated aluminum sheet is light weight (only steel 3/10), silver white and other colors, both decorative effect, but also a strong ability to reflect sunlight. 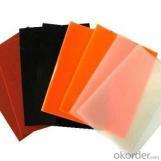 It can fire, moisture, corrosion resistance, can be used in the atmosphere for more than 20 years. Relocation dismantled corrugated board can still be reused. 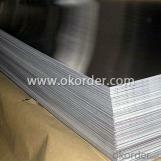 Aluminum corrugated sheet is widely used in building decoration. It is suitable for hotels, restaurants, shopping malls and other buildings walls and roof decorations. Corrugated aluminum sheet is made of aluminum alloy rolled sheet, its wavy cross section, is currently building a new type of building material widely used. Only one-third of the proportion of aluminum steel, and has good ductility, very suitable for rolling process, in addition to aluminum also has a strong corrosion resistance, and therefore have important applications in the construction industry. 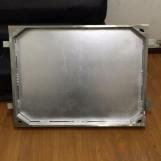 Aluminum and oxygen in the air after the chemical reaction, the surface will generate layer strong and dense oxide film. This layer of aluminum oxide film preservation became "coat", the internal aluminum is difficult for them to oxygen in the air to oxidation, so aluminum is placed in the atmosphere a year, which is less than the depth of corrosion of thousands of hours one millimeter. If the same time into the aluminum and steel containing 3% of sodium chloride and 1% of the hydrogen chloride in the container, the corrosion test of 70 hours, the average weight loss of steel per square centimeter 11.07 mg in weight loss of aluminum average of 0.675 milligrams per square centimeter, which proves the corrosion resistance of aluminum is generally much higher than the steel. 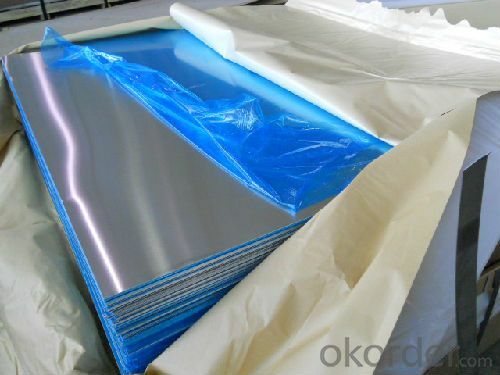 However, the natural oxide film of aluminum, there are still shortcomings thin and soft, corrosion is not very strong, so that the service life of corrugated sheet aluminum untreated generally only about 20 years. If aluminum by chemical oxidation (i.e., at a certain temperature of the aluminum oxide surface cleaning and liquid oxygen in a chemical reaction) or electrochemical oxidation (i.e. the aluminum into the electrolyte, in the role of the applied current and oxygen ions the method of a direct reaction of water with aluminum surface cleaning) are processed, on the surface of the aluminum layer will generate 0.025 to about 0.05 millimeters thick and hard and even more some of the oxide film, so as to further improve the corrosion resistance of aluminum performance. 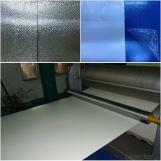 After aluminum corrugated sheets thus treated, the service life of up to 60 years. Aluminum corrugated sheets can also be a variety of bright colors, it is possible to make the building more beautiful. 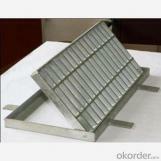 Lightweight aluminum corrugated board, use it to do the roof, asbestos-cement tiles per square meter than about 20 kg lighter. Aluminum is easy to implement plastic molding, rolling aluminum corrugated sheet length is unlimited, so use can reduce the number of joints, thereby increasing coverage. In addition, the high strength aluminum alloy corrugated board, use it to make building materials, particularly useful in earthquake-prone areas. In short, aluminum corrugated board is a light weight, high strength, fire, beautiful, shock, easy transportation and construction many advantages such as excellent building materials.